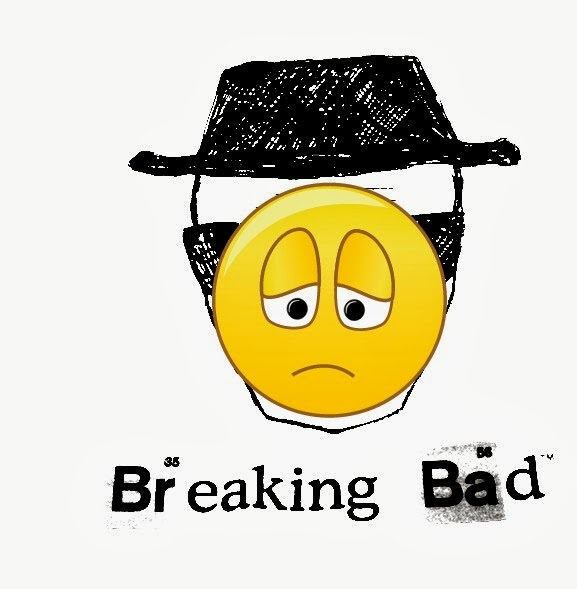 The Blogboard Jungle: Breaking Sad : Breaking Bad Withdrawal? Breaking Sad : Breaking Bad Withdrawal? Anybody noticing some really sad people around the water cooler or wherever you talk about TV today? If you have and you;re one of them then you are part of the 10 million or so people that tuned into last nights Breaking Bad finale according to Entertainment Weekly. It's odd that a show would have that effect on so many people, because I think as much as people knew Walter White was going to meet his end, we were still rooting for him. So what now? Surely we're not shallow enough that this awesome TV show was our reason to get through a weekend. There's other stuff out there to keep us occupied, it'll be Halloween soon after all and I'm sure there will be plenty of costume ideas you can apply this year to show your love for Breaking Bad among other things. If you need help with some other suggestions, just browse the web and know you are not alone, like this list from Time has some good suggestions. You can always re-watch with friends since no one is usually aloud to talk during the first viewings of episodes. Just know you are not alone...and be strong.